The Canterbury Bulldogs have won 8 elite rugby league premierships. In 2011, they finished 9th – missing the finals series. At the completion of the 2011 season, I was asked to review the application of sport science within the football department. This review highlighted some things that the Bulldogs were doing well, and also some areas that required improvement in order to be consistently competitive in the NRL. In 2012, Des Hasler joined the Bulldogs. They won the minor premiership, and played in the NRL grand final. We used the services of Tim Gabbett to provide an independent assessment and critique of the high performance systems and procedures of the Bulldogs Elite NRL Football program. Tim was professional, diligent and provided a thorough report to the Club for future consideration. I would highly recommend Tim and his team. In 2005, I began working with Mike Mulvey and the Queensland Women’s Football program. Prior to this, Mike had received limited quality sport science support. We performed a comprehensive time-motion analysis of training and match-play; something that had never been done before in the Women’s game. This information was used to refine training practices to improve the preparation of athletes for international competition. In addition, some of the work that was performed on these players has been published in international scientific journals, including the Journal of Strength and Conditioning Research, and the International Journal of Sports Physiology and Performance. Tim’s dedication to the cause and attention to detail was clearly evident in my time working with him at the Queensland Academy of Sport. He had a willingness to be part of the ‘team’ and to ‘add value’ to the football program. This, together with his enthusiastic approach led to some important studies on footballers within the game including movement and decision making. I worked with Tim for a number of years while as an athlete at the Queensland Academy of Sport. Tim’s research and innovations had a massive impact on my career. He opened my eyes to game-specific training and how to technically and tactically change my way of thinking to improve my performances. He was always approachable and seeking my feedback in order to fine tune his approaches so that I received the best training tools to improve my performance. In 2012 and 2013, I performed several projects with the Melbourne Storm, playing a key role in the analysis of GPS match data. This information was used by the club’s strength and conditioning coach and sport scientist to provide training and recovery programs for players on an individual basis. Under the coaching of Craig Bellamy, the club won the NRL premiership in 2012. I have worked with members of Melbourne’s coaching staff to translate cutting-edge research into tools they can use on a day-to-day basis in the high performance coaching environment. Tim Gabbett has performed various projects with the Melbourne Storm NRL and NYC squads. He has proven to be an invaluable resource to professionally develop our coaches and performance staff. Tim’s personal values of hard work, discipline, and persistence are strong character traits that fit closely with what we stand for as a club. Cricket is the number one summer sport in Australia. Fast bowling places considerable demands on players, and is also responsible for the highest prevalence of injury. In 2010, Cricket Australia contacted me to provide an analysis of their bowling workload and injury data. My team were able to perform an analysis to ‘make sense of the data’. Importantly, we were able to identify the bowling loads that provided a protective effect against injury, as well as the loads that increased the risk of injury. In January 2014, Australia regained the Ashes, defeating England 5-0. This type of analysis has direct applications to a number of sports, including baseball, basketball, football, and NFL. I have known Tim Gabbett for over 10 years. In the last two years he has been a key advisor to me personally and to our research and monitoring programs set in place through Australian Cricket. Tim is a thoughtful and analytical sports scientist with a pragmatic approach. If an analysis or intervention has no interest or benefit to the team and/or coach then he doesn’t pursue it. His work on training load and performance and/or injury is recognised as world class. He understands the multifactorial aspect of success in high performance sport and doesn’t become single minded. He has been extraordinarily generous with his time and counsel. Tim’s advice and guidance has been invaluable to me. I worked with the Queensland Academy of Sport Swimming program from 2002 through 2007. My main role was in training and competition support, providing training monitoring and race analysis. During this period, I worked with a range of coaches (Michael Bohl, Stephan Widmer, Shannon Rollason, Ken Wood, Denis Cotterell) and athletes (including Lisbeth Lenton [Trickett], Stephanie Rice, and Grant Hackett), and was involved in two Commonwealth Games and two Olympic Games cycles. Tim Gabbett has worked with our swimming squad at St Peters Western in Brisbane for 6 years through his association with the Queensland Academy of Sport. Our team benefitted from Tim’s expertise and I personally found Tim to be a tremendous resource to me as a Coach. His professionalism and attention to detail value added to our program and I believe made a positive difference to our program and contributed greatly to our success. I regularly provide keynote presentations at coaching and sport science/medicine conferences. In 2011, I presented at the 7th World Congress on Science and Football on the link between sport science and coaching, and how the skills of both of these professionals can help each other. I have also presented to sporting professionals in the UK and Europe. In 2011, I was invited to present a keynote address on “Training Loads and Injury” and a practical workshop on “Game-Based Training for Improving Skill and Physical Qualities” at the Irish Rugby Football Union Sports Medicine Conference. I have also presented on “Long-Term Strategies for Developing Skill and Physical Qualities in Football” at the Learn2Perform Conference in the UK, as well as provided a 3-day “Excellence in Football” professional development seminar for physiologists, physiotherapists, sports medicine practitioners, and coaches at Aspetar Sports Medicine Hospital in Qatar. Tim brings a wealth of academic and practical experience to the delivery of his lectures and workshops. His ability to transfer his knowledge and engage with coaches, players, sports medicine and fitness professionals from club to international level in the lecture theatre or the training field is second to none. Tim has presented half day sessions at the two previous Learn2Perform high performance conferences attended by staff from most premier league football clubs. His wealth of knowledge and experience provides valuable insights into his research areas and his presentation style allows for a seemless link between theory and practice. Tim has a fantastic manner and is able to captivate the audience providing really first class learning. Delegates at both the Learn2Perform high performance & paediatric development conferences had nothing but fantastic feedback after Tim’s sessions and commented on how much they learned from him. I would recommend Tim in this capacity without hesitation and am hoping I can get him back to the UK this year to deliver at Learn2Perform’s next conference running at Wembley Stadium. In 2010, the West Coast Eagles won a total of 4 matches, finishing the season with the wooden spoon. During the 2011 season, I was contracted to provide coaches and support staff with evidence-based approaches to improving skill and reducing injury rates. Under the guidance of Head Coach John Worsfold, the Eagles finished in the Top 4 in 2011. 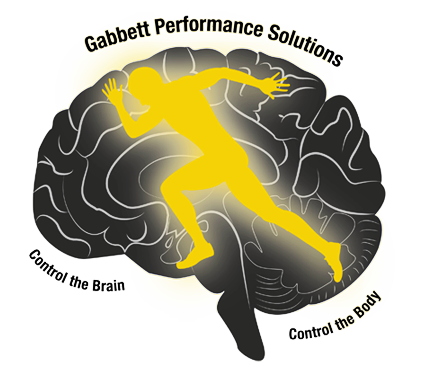 Tim Gabbett has a unique ability to combine his research skills with strong practical experience in the high performance environment. He is accessible and has played an important role in assisting in the professional development of our coaches and performance staff. Tim’s practical experience in skill acquisition and training monitoring has contributed to the provision of best practice coaching and sport science in our club, together with providing support and advice in our research area. (5) perform on-going applied research. There is a consistency around the way Tim operates. He works hard for the team. Day-to-day, you know he is going to give you 100%. I met Tim during my playing career at the Brisbane Broncos where Tim was a valued member of the coaching staff. Tim’s role with the playing group involved recording and analysing on field data (both during games and training sessions) which was then used to help develop and improve team and individual performance. Tim had a great understanding of the game and had a tremendous ability to grasp what the coach’s team goals were and then effectively relay that information to the playing group through his video presentations. I personally worked closely with Tim through my playing career and found him to be hugely helpful to me with analysing the technical flaws in my game and then advising on ways to improve my performance. I have no doubt that his personal tutelage significantly contributed to me fulfilling my potential as a player in that team. It can sometimes be a difficult setting for technical coaching staff to build rapport with players and other staff in rugby league but not for Tim. He was well liked and highly respected by all. I believe this was due to his ruthless work ethic, professionalism and his genuine eagerness to help individuals and the team perform at their best, which he achieved. I would highly recommend Tim Gabbett’s skills set to any sporting team / organisation that are looking to gain an edge over its competitors through statistical and game analysis.